TYPE this manual to your printer with PRINT.COM! on condition that no changes are made in program content. WARNING: This program ERASES FILES! Read the documentation before use. Please report bugs/criticisms/suggestions to Copyright Holder. existing LASTDATE.CNF file and let v3.0 re-create it. of the code) is totally redesigned, the largest part being error-checking. installation pays off in daily hands-off execution. (essentially hands-off) every day, and copy the files you consider important. which have been newly added to your monitored directories. the processes of installation and operation. one keystroke. UpDate scans directories, and copies files, at DOS speed. constructed without "go to" labels (labels degrade batch processing speed). BASIC Compiler (v1.0 for smaller, faster code). leave plenty of empty space on active diskettes. e.g. word-processor and spreadsheet, or for your directories. your machine and media have been, their time will come, sooner or later. recognized by DOS); UpDate will reject it. date/time formats, e.g. "11-19-86 11:02a", conform to those of the U.S.A.
keyboard: load your keyboard of choice as KEYBxx in your AUTOEXEC.BAT file. Console prompts explain most procedures. data which it interactively obtains from the user) a "path specification file"
a single hard-disk directory or subdirectory, on any drive. buffers both retard computing speed, so fine-tune. The UpDate Path Specification File PATHS.CNF: Description. directories, or filenames you have elected to back-up on a regular basis. to UpDate on a regular basis. writes, and tests -- data which you provide to PATHS.CNF. monitor regularly, and backup as required. an entire drive, except by mentioning all (sub)directories on that drive. universal wildcards "?" and "*". filenames), then no .BAK or .TMP files will be deleted. have specified wildcards or filenames! test utility UPDATE T translates all characters to UPPER case). \ADMIN\INV\ACC\AR\BUMS, or better yet \AD\I\A\R\B. it is annoying to confront them each time you UpDate. Configure path specifications in PATHS.CNF: Procedure. UpDate loads an editor that prepares a PATHS.CNF file for you. filename specification" for EACH individual file to be skipped. prolong file-scanning and -sorting at the outset of the UpDate procedure. Edit a pre-existing PATHS.CNF file. first, E for Edit , and look at your existing list of specifications. keys) just like a word processor. after the FIRST key is typed, it becomes a true character in the path spec. as necessary (to learn the line numbers you wish to Edit). and test the file later. normally write clean ASCII text to disk. can also Test from the edit menu. file name". Repair all errors by re-loading the UPDATE T editor. the Path to a File", if you have trouble with path syntax. form C:\ART\OBJECTS. *, adding a ". *" wildcard extension. extension, and then append " &S" to the line. UPDATE T test utility, even if they are properly described in PATHS.CNF. Moreover, UPDATE T halts and will not test the remainder of PATHS.CNF. or place in the directory one real filename of the categorical type (e.g. file present (e.g. re-name an existing file temporarily). N.B. Never load UpDate from a different directory! listed off-screen, the UpDate Main Menu (reproduced below) appears. Date and Time File LASTDATE.CNF. single letter, e.g. D, E, or any other drive_letter A through Z.
enter S for "Selective" mode (always adjustable at runtime); in "Selective"
mode, you can skip all copying operations if your initial set-up is faulty. run simultaneously (or "Linked") on every run -- if you need this facility. DOS file SORT.EXE must be present in the UpDate module directory for UPDATE N.
Dates: UPDATE N", at end. First-timers: Enter N[o Link]. configurations with their corresponding LASTDATE.CNF entries. days, to copy numerous files and learn how UpDate works. the current correct Date and Time. Create a replacement LASTDATE.CNF file for UpDate. values by typing A at the "Last backup date" prompt. minute), e.g. 011286 (1 December 1986) and 1400 (2 PM). set-up questions); no new LASTDATE.CNF file will be logged on disk. Options 1-3: Execute and Copy. "Copy To:" back-up destination only. you are swapping floppy disks; file-copying is automatic. Option 4: Universal or Selective Copy Modes. the main menu, type 4 to toggle between Universal and Selective copy modes. set-up parameter #4 in LASTDATE.CNF. exercised with PATHS.CNF "Skip filename specifications". the source file; all other keys are omit-copy or "Skip" instruction keys. changed or are important, while deleting those which are superfluous. file only, not files of the same name on destination directories or disks. N.B. : The Delete option is available ONLY in "Selective" copy mode. can no longer delete the file (a minus sign `-' entry yields a skip). utility, to reclaim a file]. Option 5: Change Last Date/Time, or Parameters. See previous discussion of "Date and Time File LASTDATE.CNF". UpDate run is irrevocably LOST. indicates the varying times consumed by the two procedures. appended -- as an advisory. LASTDATE.CNF remains the file of record. back-up drive the correct floppy diskette. "Strike a key when ready", i.e. not need to switch disks, simply . and floppy. Swap floppies first, if you intend to copy. is inserted. If UpDate does not find the file on that diskette, a "WARNING"
to back-date the next time you use UpDate if a crash occurs. drive). Another identical hard drive is, after all, the ideal backup vehicle! designations (e.g. C:, D:,...Z:): SEE 2) BELOW. you only have one. This method has distinct advantages and disadvantages. Consider it only if you have a SINGLE hard drive: SEE 4) BELOW. With some restrictions, floppy systems may also use UpDate: SEE 5). Additional copying to floppies is always recommended. 1) Copying between Two Hard Drives. parameter question #3, to make mirror-image copying your default. (execute option 1) results in fast hands-off operation. backing up to the same hard drive! more) hard drives subdivided into various "logical" drives or "partitions"
further the discussion of Parallel backup directories, #4 below). the computer, run UpDate and store all new RAM files on your hard disk. corresponding ("Mirror-image") directories on C:! 4) Parallel hard-disk backup directories on single hard-drive systems. and useful in any environment that drives its computer intensively. combined size of all the files you will be backing up. you needed to recall one old file or your hard disk was off-line. majority) didn't backup -- period. tree-level as the master (source) directory or subdirectory which it backs up. calls this root directory Parallel backup area d:\D, e.g. C:\D. directory.7 Then run UpDate as usual, sending copies to floppies only. 5) Dual-Drive or Single-Drive Floppy Diskette Systems (No Hard Drives!). of UpDate is sharply restricted if the floppy drives are small-capacity (e.g. space (typically to 50K) during operation. COPY [FLOPPY_DRIVELETTER]:LASTDATE.CNF [HARD_DISK_DRIVELETTER]: thus e.g. space on these more spacious diskettes. LASTDATE.CNF (no "floppy drive" should be designated in LASTDATE.CNF). offers the usual skip/copy option. destination drive is a "hard drive"). Floppy-Only and Hard-Only Path Specs. similar to "Skip filename specifications" [ &S], previously described. PATHS.CNF is again the vehicle for these instructions. disks (no hard-disk back-up option will be offered). specification, and then REPEAT this specification with the appendage " &F"
or " &H" (one blank space plus an ampersand "&" plus letter "F" or "H"). copied, because there is no general specification for this (sub)directory. backup areas only (no floppy back-up option will be offered). 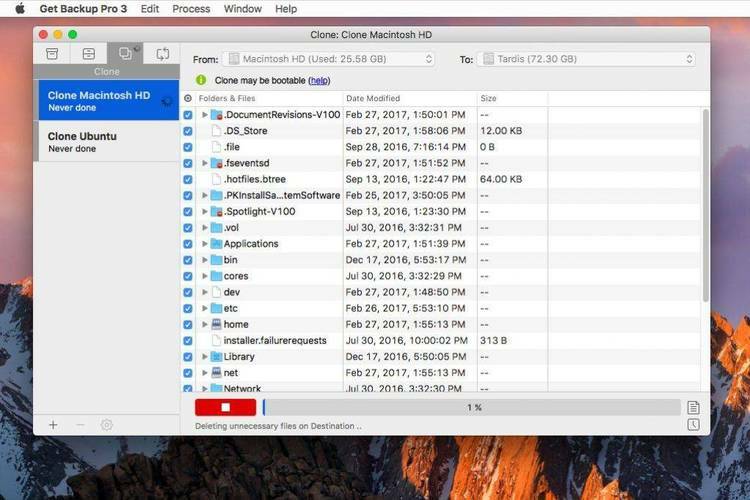 Locating and UpDating Newly-Added Files Bearing Old Dates: UPDATE N.
files already identified and copied on intervening runs of standard UpDate. SORT.EXE in the UpDate module directory. next time you run UPDATE N.
FLOPPY ONLY destination drives, just like standard UpDate. module could then cover your other active directories. yields the same result as command UPDATE: a linked run of both programs. Run UPDATE N as a Separate program (`N'o Link in set-up parameter #5). already been UpDated during the standard procedure (Skip them). Run UPDATE N and standard UPDATE as Linked programs (`Y'es Link). a run with many files needlessly flagged). and only "new" files will be reported/copied. Differences Between Standard UPDATE and UPDATE N.
by a new, current ARCH-UPD.CNF file). Copy Mode; the default is always Selective Mode. superceded and, probably, previously copied by UpDate). to configure a system that works, day-in day-out. although not "Skip filename specifications" [ &S] -- to PATHS.CNF. directories only, and not for any backup directories.